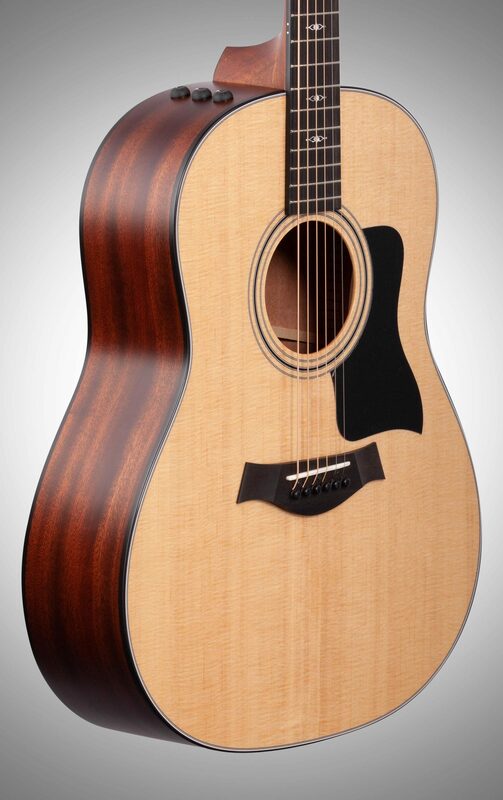 Taylor's Grand Pacific body shape unleashes a sound in this amazing round shoulder dreadnought. 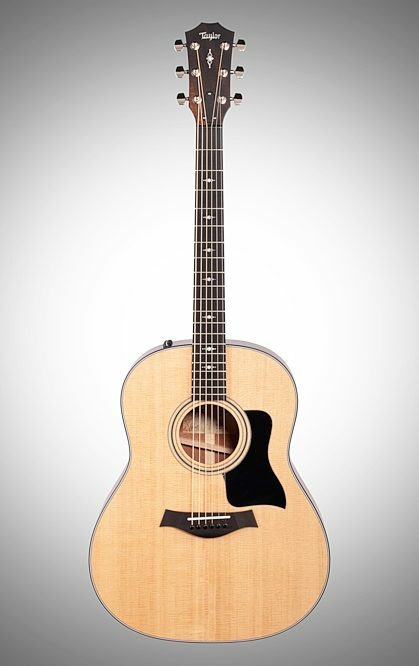 Based on the award winning architecture of the V Class Bracing, this guitar design redefines the tonal qualities one might normally associate with a Taylor guitar. Inspired by traditional country and bluegrass recordings, master guitar builder Andy Powers set out to create a guitar with the warm and seasoned notes he'd grown accustomed to on the recordings. 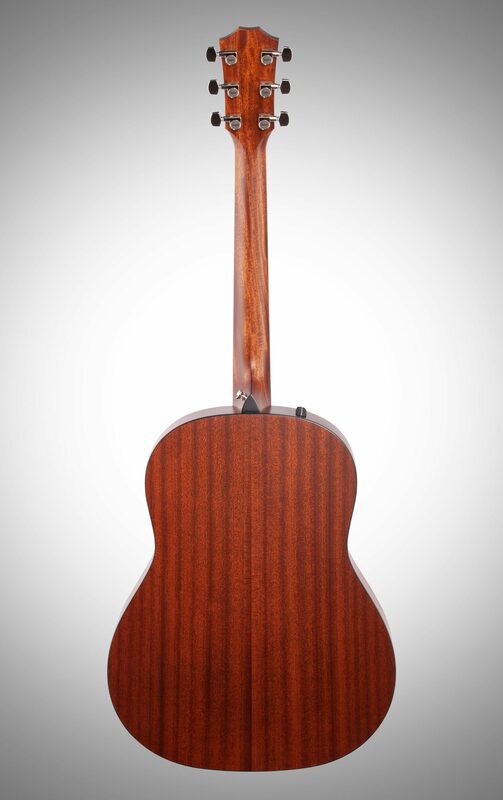 Based on the success of the V class bracing system, Andy wanted to create a guitar that appealed to variety of players that captured a sound that was familiar at the same time. 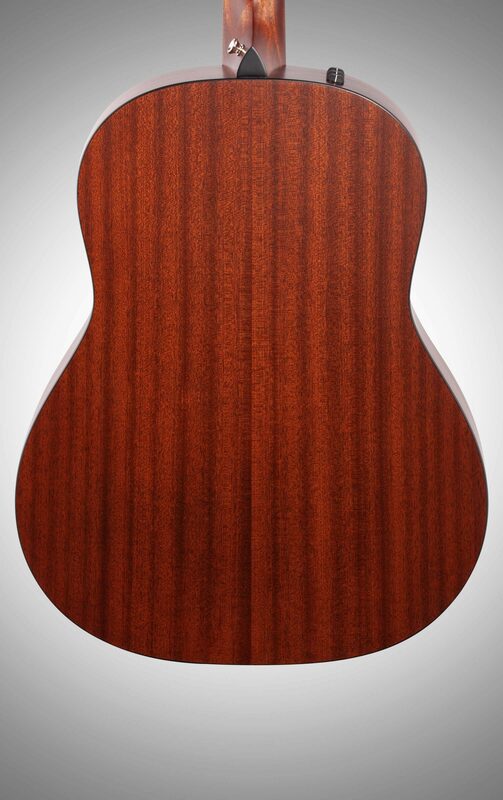 The waist of the guitar is slightly wider, making notes more round and whole and the guitar embraces lush, sonic overtones with a rich fidelity. Notes have longer sustain and more projection, while sounding more in tune. 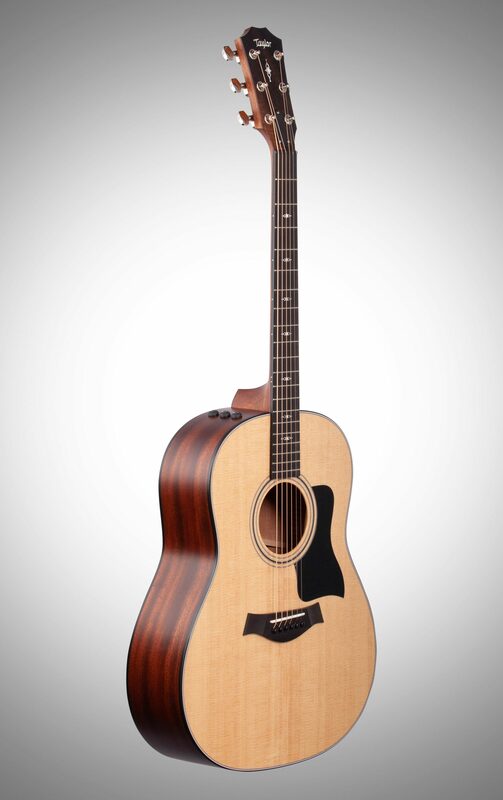 Whether you're a strummer, a fingerstyle player, or jamming with others, the Grand Pacific will appeal to players of all styles. 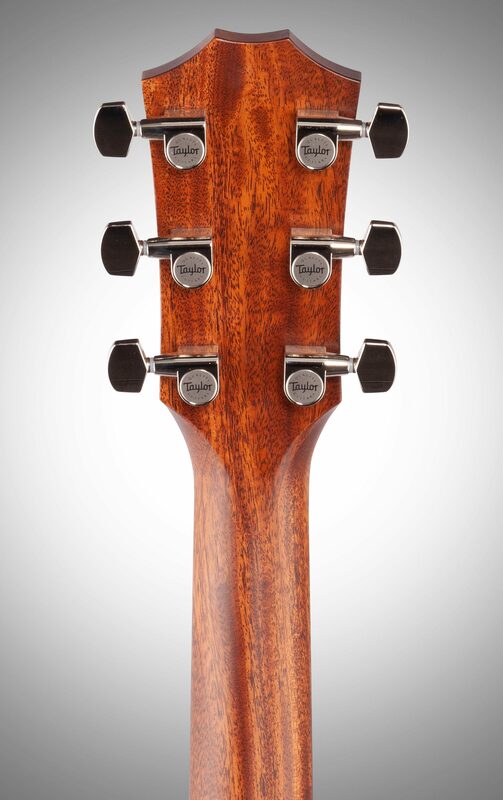 Sapele back and sides complement the Sitka spruce top and evoke a sound that's a nice, dry blend of mahogany with a touch of sparkle commonly found in rosewood. 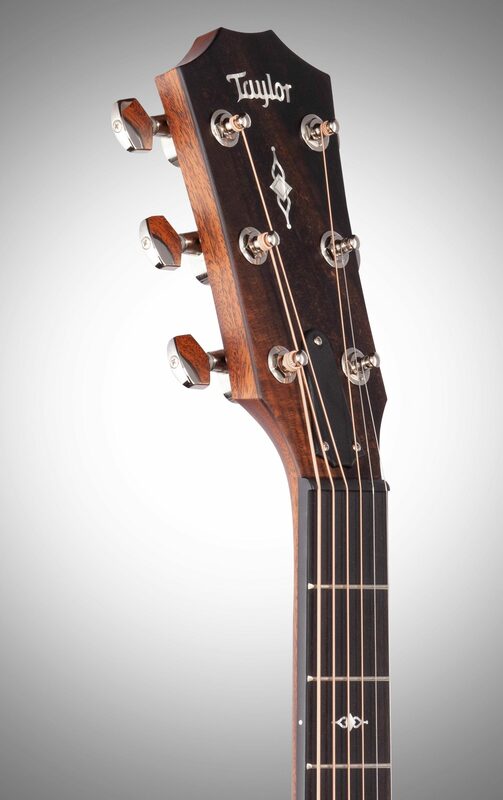 Black binding and Gemstone inlays round out this understated beauty with solid West African ebony fingerboard and bridge. 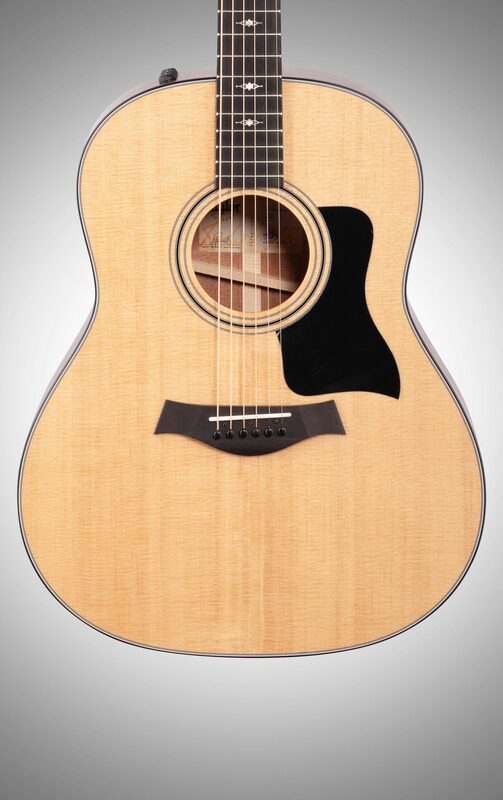 The Taylor 317e comes equipped with stage ready Expression System 2 onboard, active electronics, and ships in a Taylor Deluxe Hardshell case.